BAI BANG is a Glam Rock band and one of the most powerful rock acts from Sweden. Since the band started in 1988, the members have spent a lot of time together on their tours all over Europe, the USA, Canada and Japan. 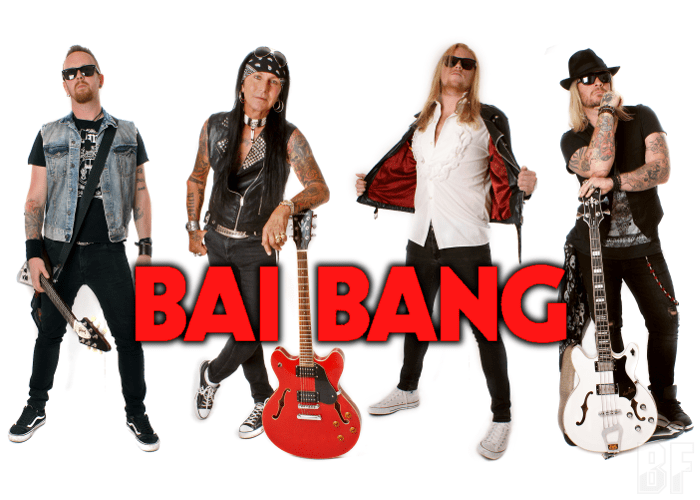 BAI BANG released total nine albums including the 2005 compilation album ‶Best Of”, and particularly the 2009 album “Are You Ready” was nominated for the best sleaze/glam album in Sweden. Their latest album “Rock Of Life” was released through AOR HEAVEN/METAL HEAVEN on April 28th and contains 11 songs of Gram/Sleaze Rock, Rock n Roll and AOR full of charm in the 80s. BAI BANG has been touring with bands like Alice Cooper, LA Guns, Dio, Ratt, Pretty Maids and Union among others and has done many headline tours as well. The band has been playing at massive festivals like Sweden Rock Festival, Wacken Open Air, Rocklahoma and Grammed Out. 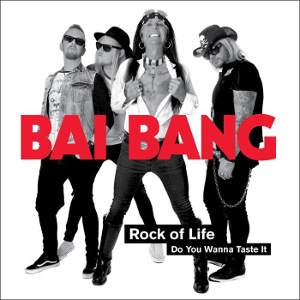 BAI BANG will appear soon at Wacken Open Air in Wacken (DE) on August 3rd, Rock It Festival in Ängelholm (SWE) on August 25th and HRH Sleaze Festival in Sheffield (UK) on September 2nd.